Every palace in Venice has an important past. Cà Nigra's splendor has endured through the ages, having hosted prestigious men, women, and illustrious personalities, such as Italian poet and Ambassador, Costantino Nigra. A highly regarded man of his time, this relentlessly cosmopolitan Piedmontese traveler was a close friend to French Empress Eugenia di Montijo, as well as a famous poet and writer in his own right. He lived in the 19th century and served as a wise diplomat for the Count of Cavour. 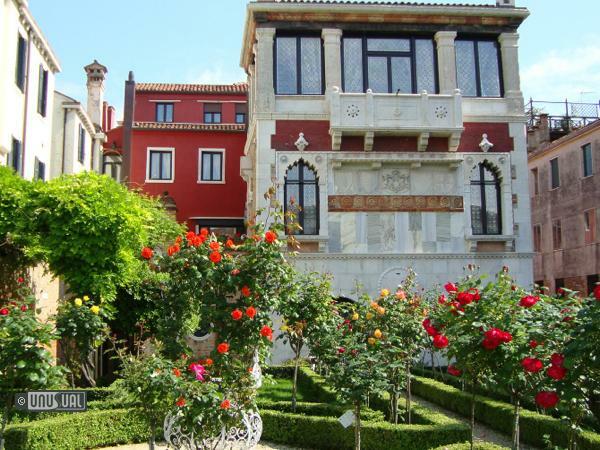 After serving to the courts of Saint Petersburg, London, and Vienna, the Ambassador chose to permanently settle in Venice, where he sought to create a sublime residence along the Grand Canal, a home now available to Cà Nigra guests. 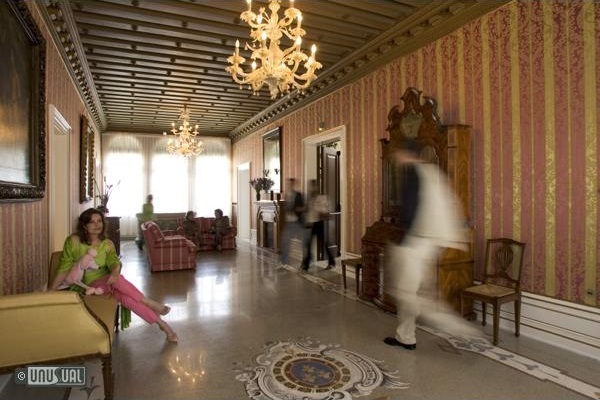 More recently, thanks to Stea Family, Cà Nigra underwent a thorough restoration, which has returned the palazzo to its original splendor, indoor mosaics, refined oriental elements, and front garden - maintained and ever so welcoming. This palace has the power to transport you back through time to a suspended reality where history, tradition, and modern elements happily become one. The Cà Nigra Lagoon Resort is a 4-Star Boutique & Design Hotel which leans out over the famous Grand Canal. 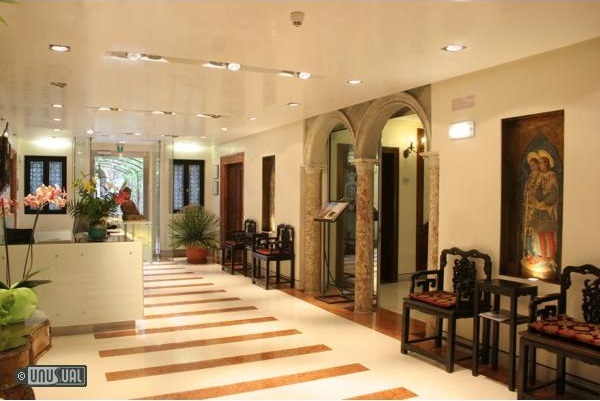 Situated in the historical city center of Venice, it is just steps from the main station - and traditional entrance to the city. Ambassador Costantino Nigra purchased land in the district of San Simeone Profeta, then the wool-working heart of the sestriere Santa Croce, and hired the talented architect Giovanni Sardi to create an eclectic Byzantine-Gothic construction following the design trends of the time. After his death in 1907, Costantino Nigra's plush home, with its triple round arches, graceful loggia and pietra d'Istria balcony was taken over by the Guetta family, who rented it out to the Italian Railways, adapting the building to multiple uses. Since then it has been tastefully restored by the Stea family. 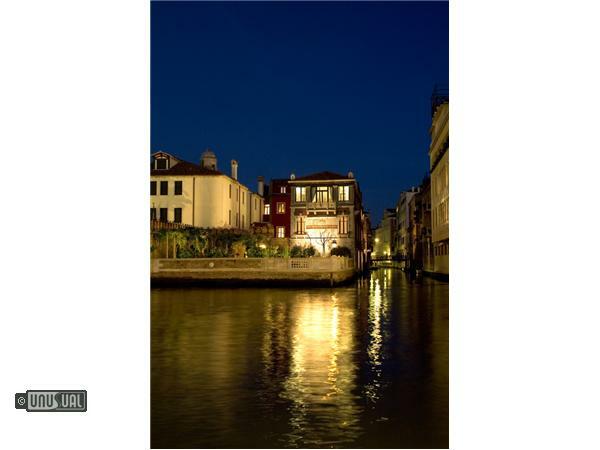 Cà Nigra Lagoon resort has 22 suites, many of which have a small terrace or balcony and sight of the Grand Canal. 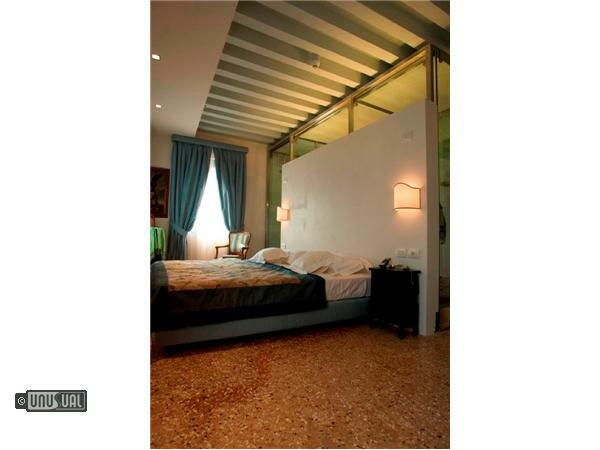 The rooms preserve the Venetian atmosphere thanks to the plasters, marbles, fallen glasses and Murano chandeliers. The numerous trips of the owning families have enriched the hotel with tastes of various worlds - Oriental, Contemporary, Modern. These marry well with the beauty of the building, a testament to the architects art, the vision of Ambassador Costantino Nigra for a residence in the city, and of course the dedicated restoration. The hotel offers junior suites on the ground floors and superior junior suites on the first floor with balcony, solarium and chromo-therapy facilities. The second floor deluxe suites have a balcony or terrace directly facing the Grand Canal - and their own hydro-massage bathrooms. 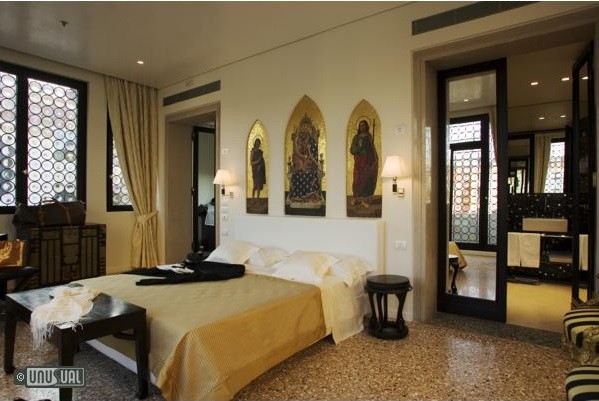 It is an exclusive privilege for a Venetian house to own a garden, and Cà Nigra Lagoon Resort has two. 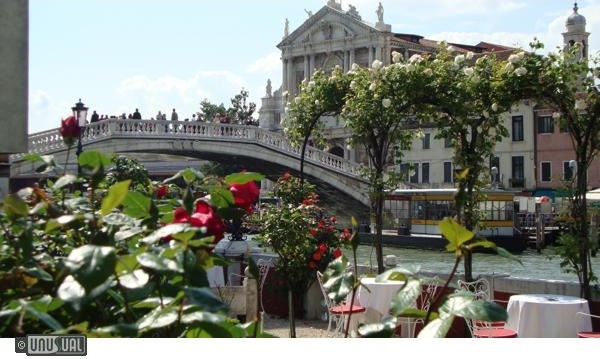 The Rose garden faces the Canal Grande and is ideal for a romantic aperitif at sunset, for amazing declarations of love or simply to enjoy breakfast in style. The Jasmine garden, internal, intimate, dating back to the XIV century, that leans out on the Field of St. Simeon Grande. It is a pleasure to celebrate a special anniversary or a wedding with an open-air banquet - in a truly exclusive location - during fine summer days. The two gardens of the Cà Nigra, are ideal for special events, anniversaries, marriages. Or - to simply enjoy reading a book while watching the sunset, enjoying one of barman Massimo's cocktails. All the rooms are completely soundproofed, with adjustable air conditioning. Rooms provide mini bar, safe, two direct dial telephones, (one in the room and the other in the bathroom) , satellite TV, LCD and Hi-Fi Stereo, ADSL connection, hairdryer, courtesy kit and bathrobe and a magnifying mirror. Wi-Fi is free throughout the whole hotel. In addition to the extraordinary rose garden dominating the banks of the Canal Grande and an internal jasmine garden which lends itself to receptions and parties between the centuries-old trees, palm trees and flowers, Ca’ Nigra Lagoon Resort has a frescoed meeting room that accommodates about 50 people, the Sala dei Putti. 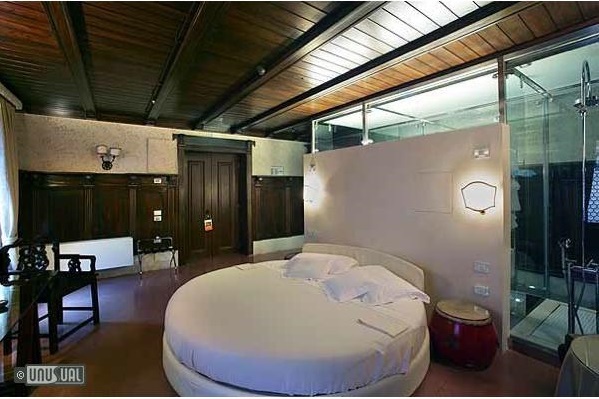 On the upper floor of the building, with a balcony facing the Jasmine garden and leaning out on to the Rio Marin river, you can book this room dedicated to Costantino Nigra. Illuminated with natural light, it is ideal for small meetings, business reunions, tastings, book launches, live music receitals and press events. Your car can be easily left at Piazzale Roma in the parking where the hotel has an arrangement, or in Mestre where you can take the train (approx. every 10 minutes); both of them are not far from the Ca’ Nigra Lagoon Resort. You're nearby to Vaporetto no. 1 – stop no. 3 (Riva di Biasio). 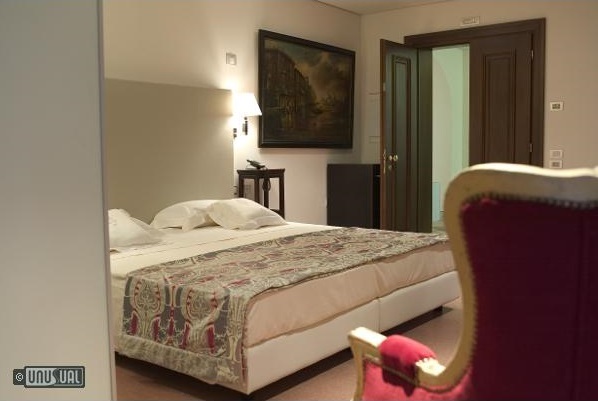 The hotels is situated in a quiet area in the heart of the Venice. Explore on foot where life means going hand in hand for a walk and then to stop and drink a glass of wine, perhaps shopping or some culture.